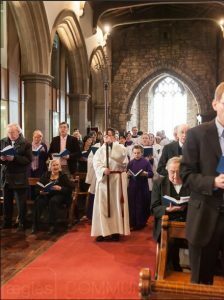 A very warm welcome to the Parish of St Giles, Durham, a Church of England (Anglican) church in the Diocese of Durham. St. Giles’ has been a place for people to meet and worship for over 900 years. Through our website you can find lots of information about the life of our church, from our regular services and special events, through to guides on how to book a christening/baptism, wedding or funeral, or how to hire one our rooms. St. Giles’ is a welcoming place for young and old. If you are a parent, you can find out about what we offer to children and families. If you enjoy music and singing, you can find out about joining our choir. We also have lots of social activities throughout the year for friends and family. Above all, we are here to share the love of Christ, and you can find out more about us and our Christian Faith here.